The Long Island Maritime Museum is committed to the research, preservation and interpretation of our region’s rich nautical heritage and the role of Long Island in our national maritime story. Experience the exhibits, programs and events illustrating Long Island's maritime history. The Long Island Maritime Museum was founded in 1966 and is located on the historic West Sayville waterfront. The museum grounds, once part of the Meadow Edge estate of Mr. and Mrs. Anson Hard, is now comprised of fourteen acres and nine historic buildings. Charged with the mission of preserving Long Island’s maritime history and heritage for educational purposes, the Museum has been welcoming visitors from all over the world for over 40 years. Inside one of the National Historic Landmarks, the Rudolph Oyster House, visitors can take a look at the industry and the families who made it work, as well as what happened to it and the aquaculture in the Great South Bay today. Long Island Maritime Museum and Suffolk County Parks in the days of dead reckoning and no electronic aids for navigation, it is a small wonder that ships, sometimes having been at sea for more than a year, often ended up aground on the island’s barrier beaches. The exhibits show how weather, chance, and human error conspired to make the waters around Long Island a "valley of ship wrecks". From the earliest settlers who farmed shellfish and built dugout canoes, to residents and visitors of today who enjoy sunny beaches and world-class boating, Long Island's story is inextricably linked with the sea. The Long Island Maritime Museum is committed to the research, preservation and interpretation of our region’s rich nautical heritage and the role of Long Island in our national maritime story. Whether it’s boat building, shipwrecks, shellfish harvesting or recreational boating that captures your imagination, it’s all here under our roofs, in our galleries and at our many events and programs. Kids will discover the links between the Island's maritime and natural histories. They will encounter some of the amazing creatures living in our local waters. 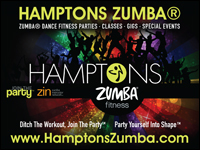 The Museum is located on the waterfront of the former Meadow Edge estate of the Hard family. With a collection of over 10,000 objects, a rich archive of documents and photographs, and five historic buildings, the Museum is a treasure chest of Long Island history. 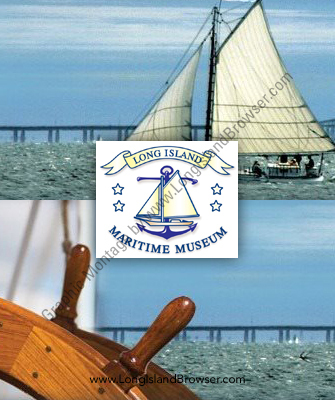 Long Island Maritime Museum is a not-for-profit 501(c)(3) corporation - New York Charities Registration #047320-00. 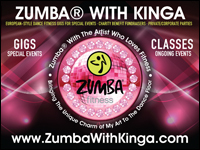 $4.00 for adults; $2.00 for seniors and children; group tours available by appointment.